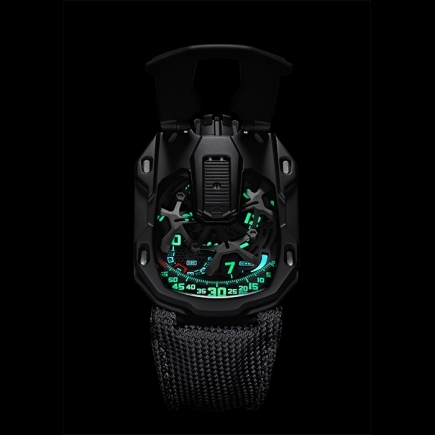 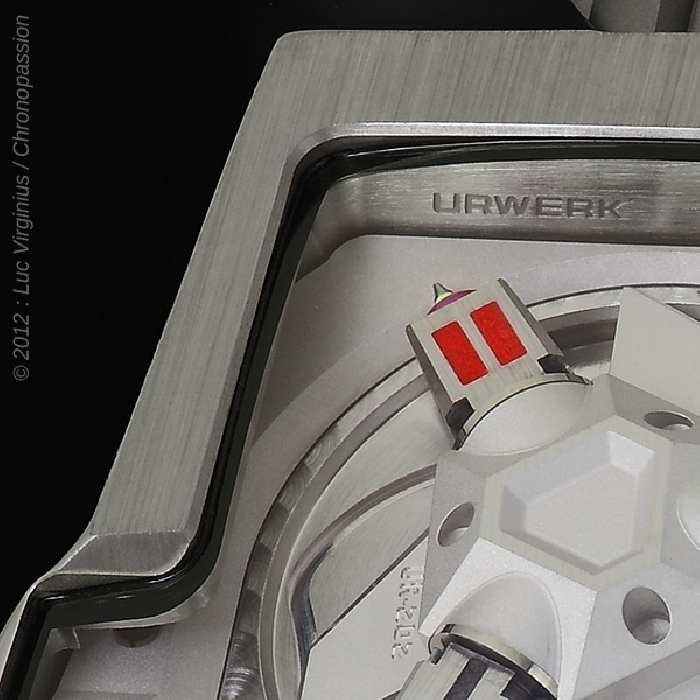 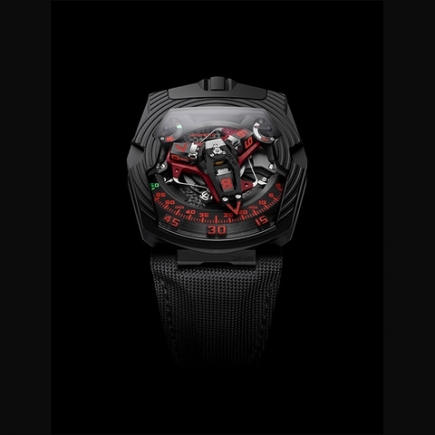 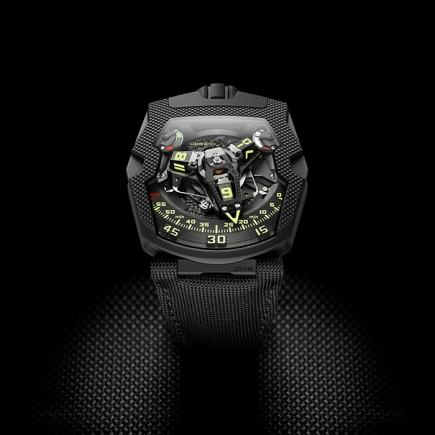 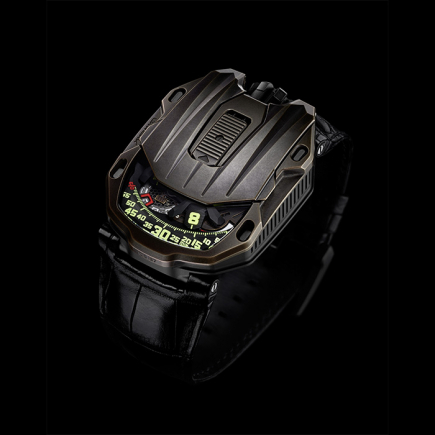 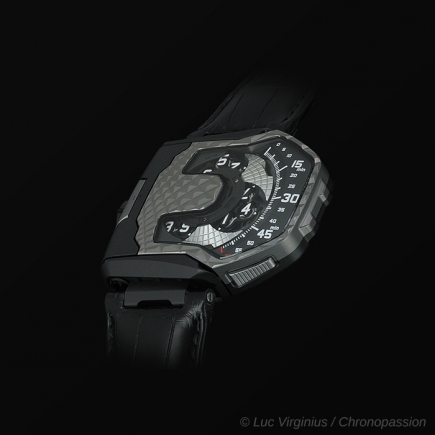 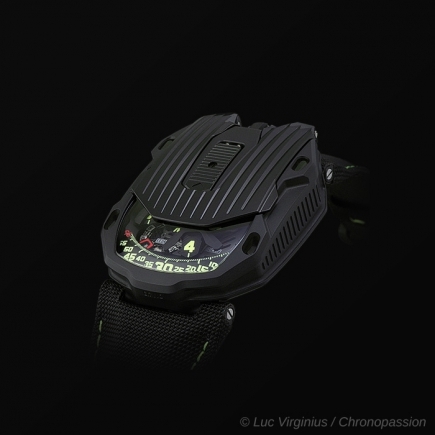 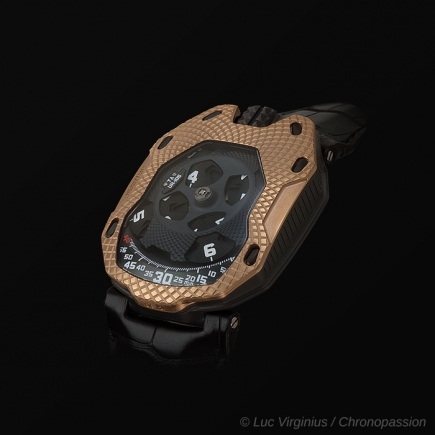 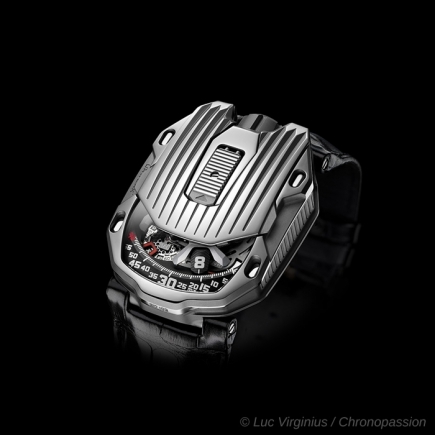 urwerk | 138'000 € Tax inc. 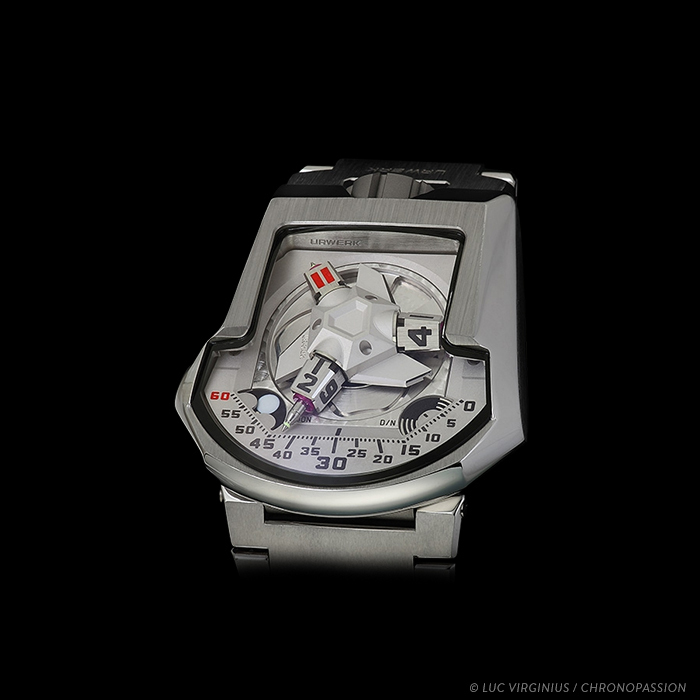 The Urwerk UR-202 White Shark - a special edition of 12 pieces - is the first of Urwerk's Rare Species and is available exclusively from Chronopassion (Paris), The Hour Glass (Singapore) and Urwerk (Geneva). 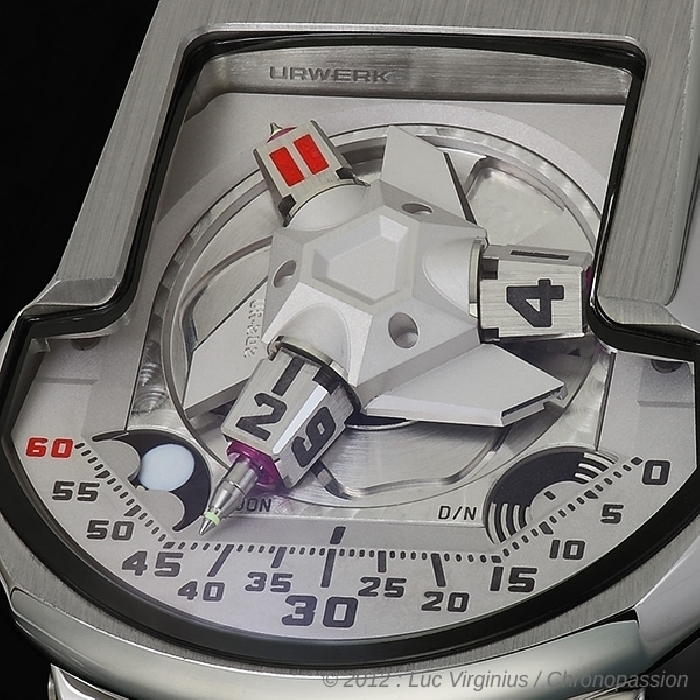 Time is monochrome on the Urwerk UR-202 White Shark, with its case, dial and hour satellites all in an original shimmering silver/white hue emitted by titanium, steel and ARCAP. 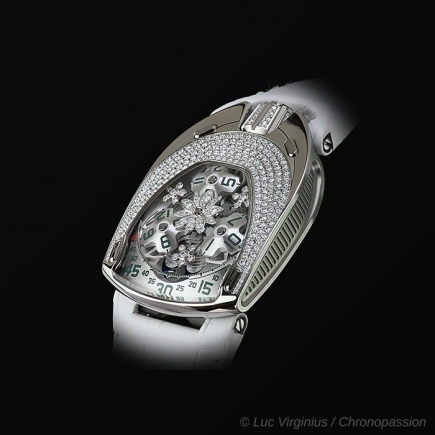 The White Shark, is a timepiece unadorned with no makeup, its only ornament is its technicality. 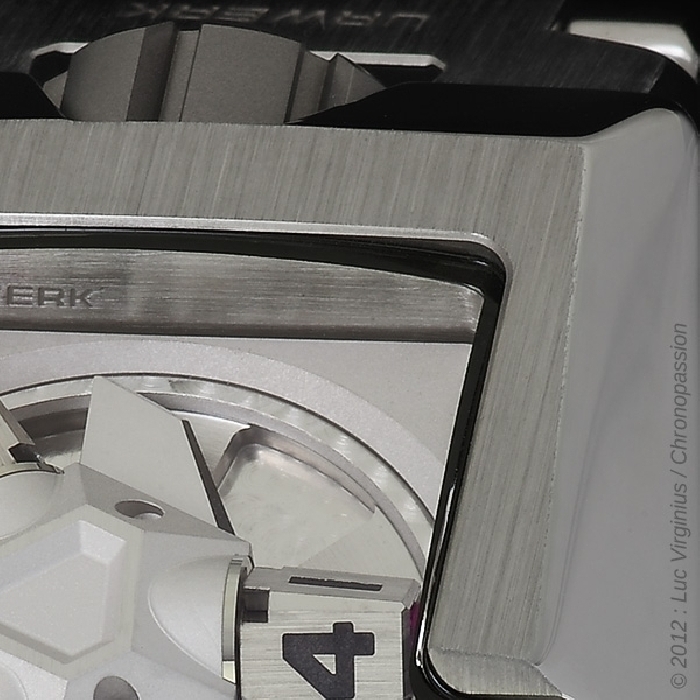 The White Shark, eschews colourful display to concentrate focus on l’art mécanique. 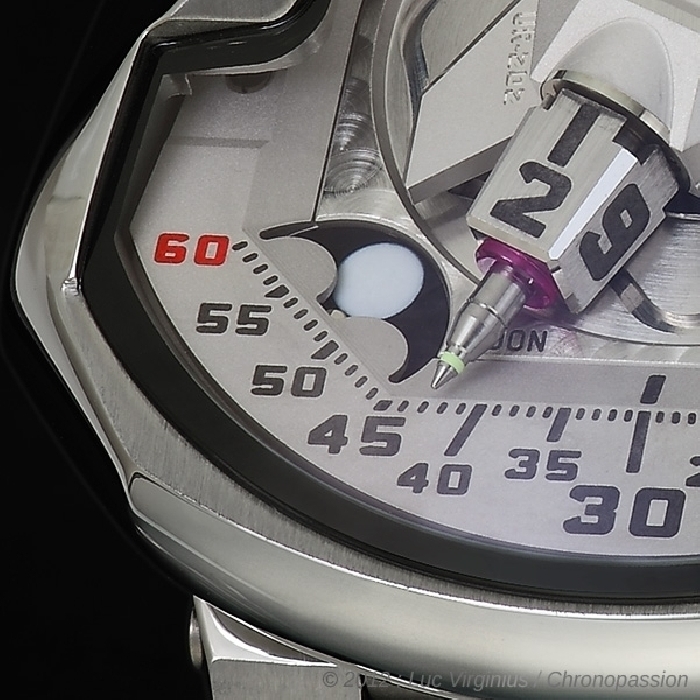 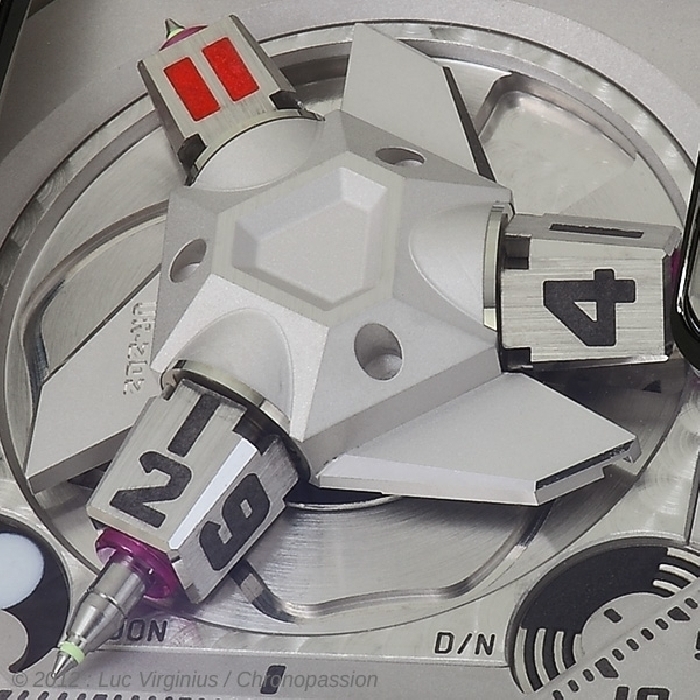 The black numbers of the hours on the satellites stand out clearly against the light background; however one number of the 12 hour digits is the bright red exception to the rule that identifies the individual piece number in this limited edition of 12. 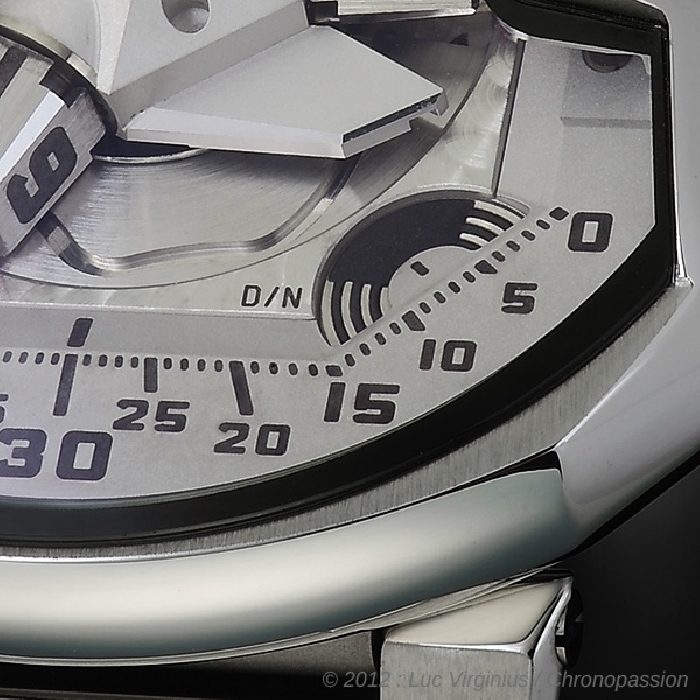 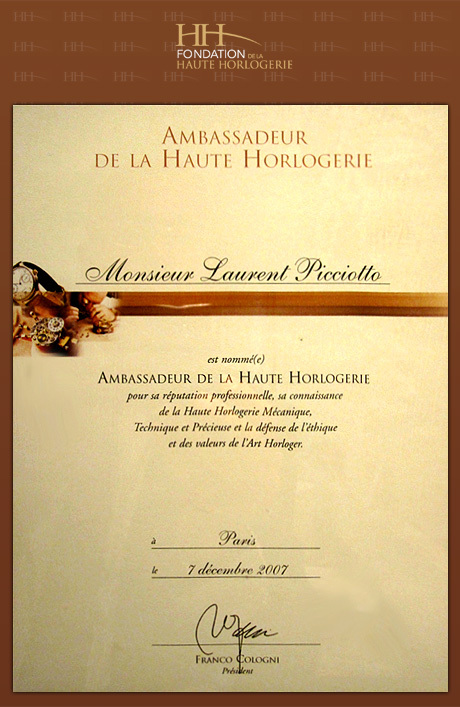 The satellite complication and the telescopic minute hands.